Happy new year, everyone! We're entering the new year and planning to become more 'fluid' in 2017 by trying new meetup places around the city. Since most of us are living in the Central and South areas, we'll still keep the location around these neighborhoods. 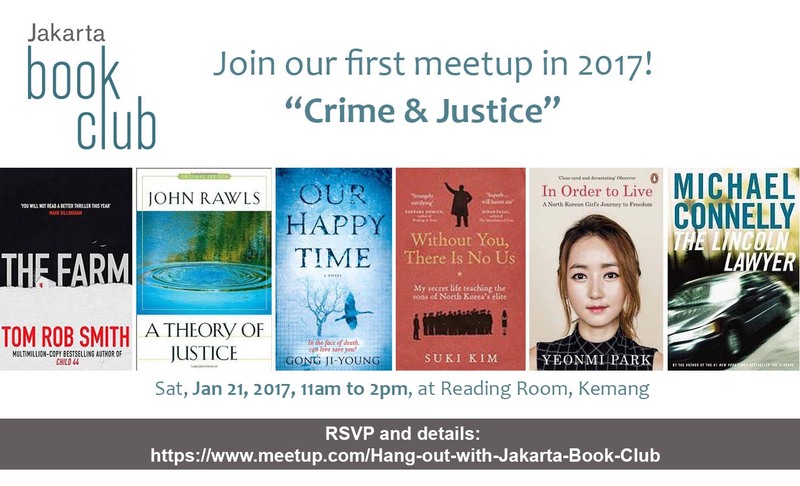 Based on majority votes last month, we'll talk about crime and justice at the beginning of the year! 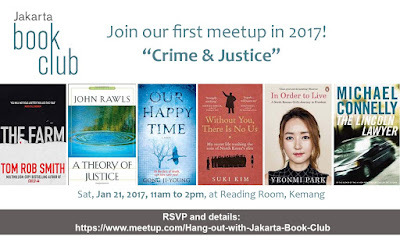 It will be a mix of fiction and non-fiction literature, but expect to hear reviews on books like "A Theory of Justice" written by John Rawls, "Our Happy Time" written by Gong Ji-Young, "Without You, There Is No Us" written by Suki Kim, "In Order to Live" written by a North Korean defector, Yeonmi Park, "The Lincoln Lawyer" written by Michael Connelly, "The Farm" written by Tom Rob Smith, and more (to be updated). RSVP is closed. 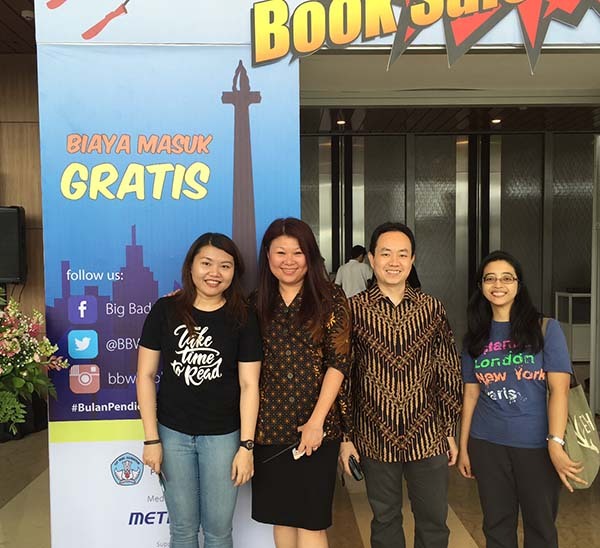 The discussion will be moderated in English and Bahasa Indonesia. This event is independently supported by JBC officers.